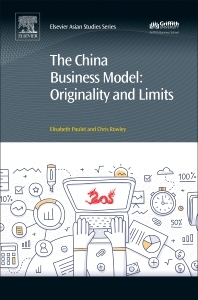 The China Business Model: Originality and Limits emphasizes transformation of the Chinese Business Model over the last decades. The impact of the financial crisis on China helps the reader understand its evolution towards capitalism. Topics covered include CSR, leadership, and management in China, how do these organizations impact the performance of companies, the financing policy of Chinese firms and its evolution till the slowdown, finance and business in China, and how could the banking sector and/or the financial markets help the development of Chinese companies? Answers the question "how can financial markets help the development of Chinese companies?" 10.3 Which Country Will Benefit From Its Large Employable Population? 10.4 What About Advanced Economies and Rest of the World? Chapter 11. Conclusion: Implications and What Can We Learn? 11.5 Could Chinese Business Practices be an Obstacle for Future Opportunities? Elisabeth Paulet is Professor of Finance at ICN Business School in Nancy, France. She completed her PhD at the European University Institute of Florence and has held the Jean Monnet Chair in European Banking. Her main interests are in banking structures and financial policy of firms on historical and contemporary level. She has published several articles and books in this field. He is Editor of the leading journal Asia Pacific Business Review, Series Editor of the Working in Asia and Asian Studies book series. He has given a range of talks and lectures to universities and companies internationally with research and consultancy experience with unions, business and government. Professor Rowley has published widely in the area of HRM and Asian business, with over 500 articles, books and chapters and practitioner pieces.